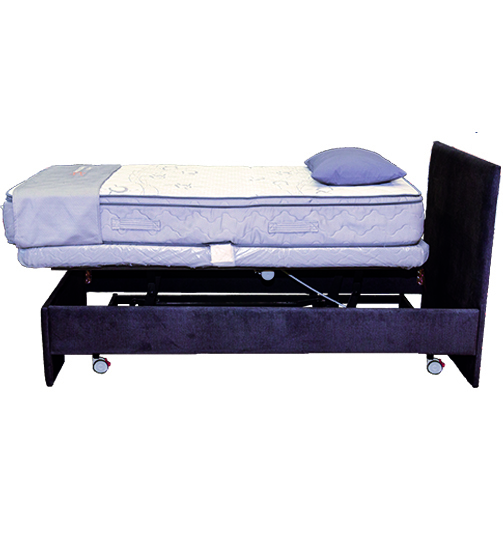 The Bluesky Healthcare Split System Bed is designed specifically for couples and co-sleeping comfort. It is available in three different sizes, Split-Queen (same size as regular Queen), Split King (same size as regular King), and Split Super King (same dimensions as a super / California King). 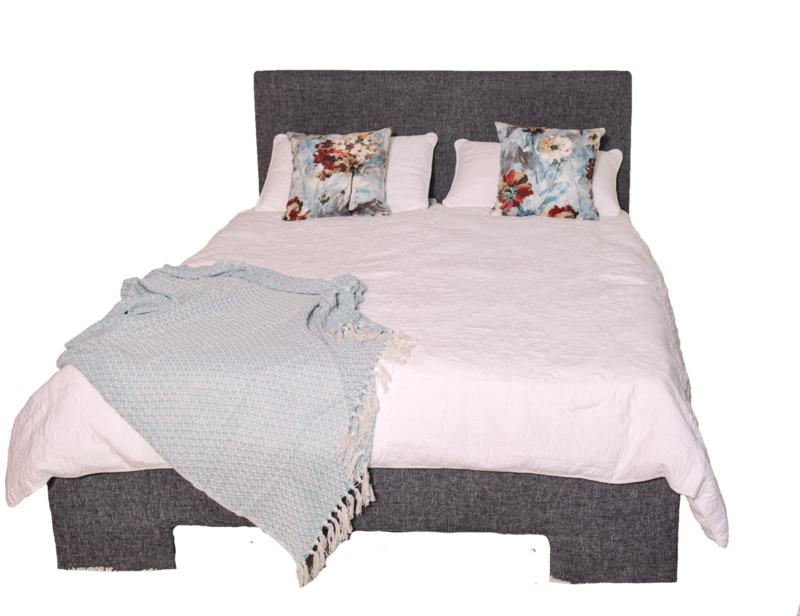 It is made up out of two entirely separate beds, which will allow each person to choose the right mattress, functions and extra that they want and need and individually control their half without disturbing their partner. 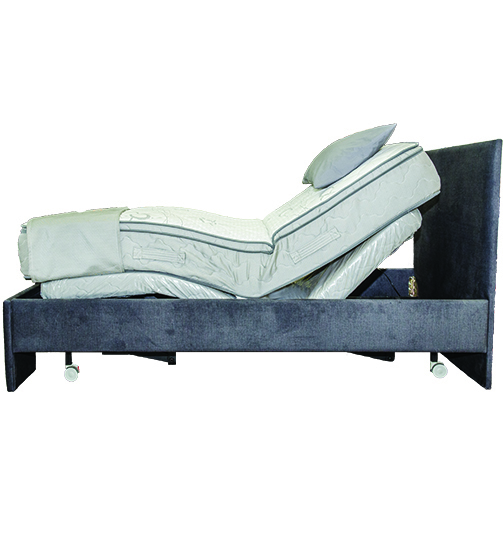 As with all of our Adjustable Beds you can choose to have a surround, which will further assist in disguising your bed as an elegant modern bed rather than a hospital bed. You can choose one of our custom-made upholstered surrounds, or you might even be able to keep you existing bed surround. Alternatively, you can opt to not use a surround and only add a valance and a headboard for an ensemble style make up. The individual beds can be locked in place using the heavy duty castors, so you don't have to worry about "falling through the gap" in the middle of the night. 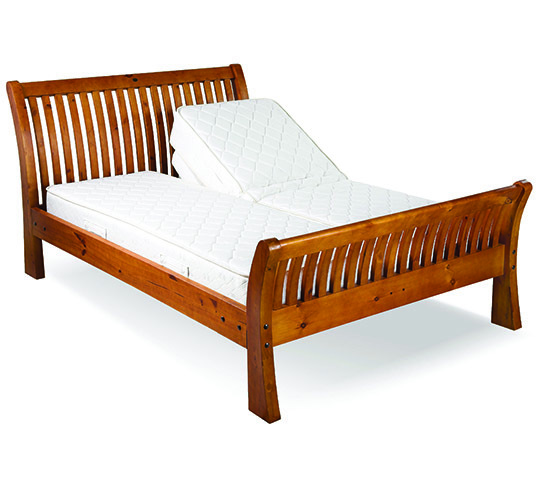 Another great option that a European style split-system allows for is called a companion bed. 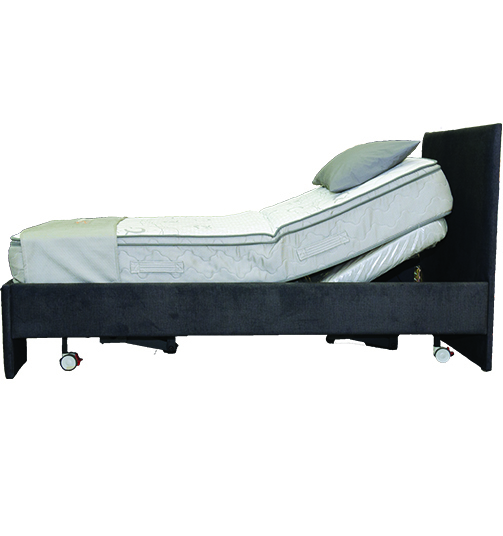 A companion bed or base looks the same as an adjustable base but doesn't have any motors or functions attached. 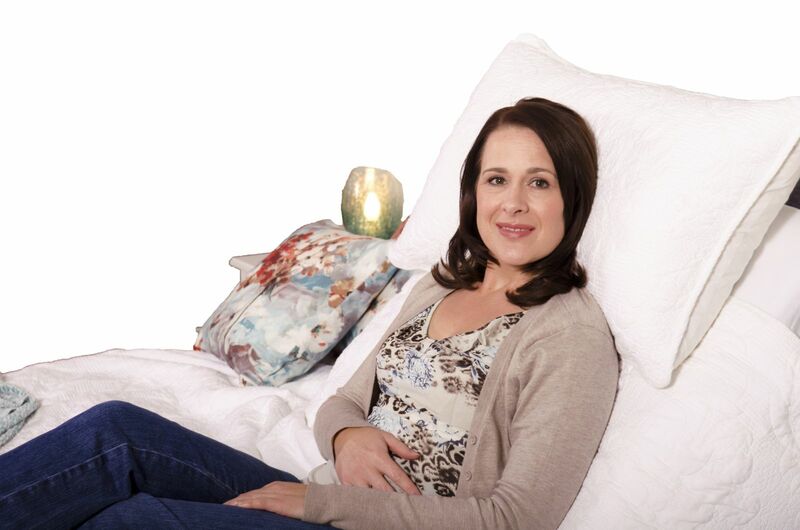 This option is a cost effective way to keep joint sleeping arrangements that are individually suited to each person's needs while saving some money. One of the questions we often get asked is in terms of the height of the bed, with most other mass-produced or imported bed-systems you may be able to choose different mattresses, but you will either have to hunt around to try and get mattresses that are the same height or you will have to put up with having different heights, which will pose a physical barrier and discomfort. 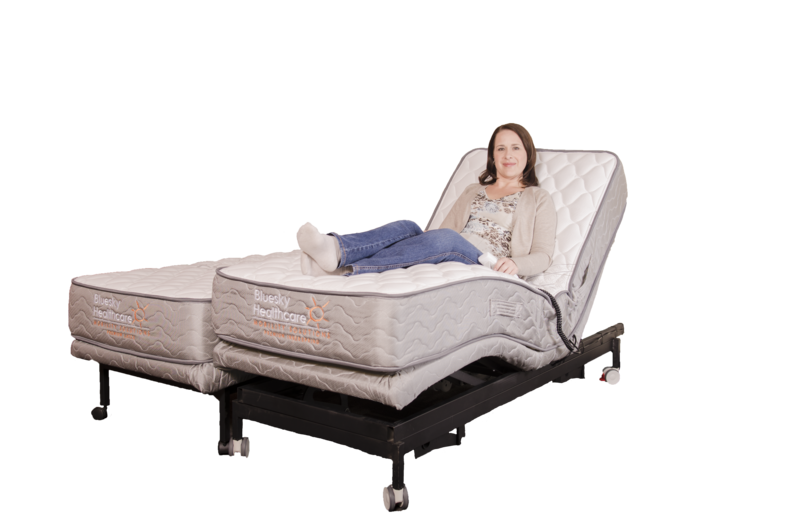 Because each and every one of our Electric Adjustable Beds is made to order, we can adjust the base height to accommodate different mattress choices and maintain the same height. Each partner can choose from many different functions and combinations in order to make their side of the bed just right for the. These functions include Head Lift, Foot Lift, Dual Lift (Head and Foot Lift), Hi-Lo (horizontal lifting notion, used for home care amongst other uses), massage and extras such as side rails. All of our beds, mattresses and motors come with a comprehensive 5-year peace of mind warranty.